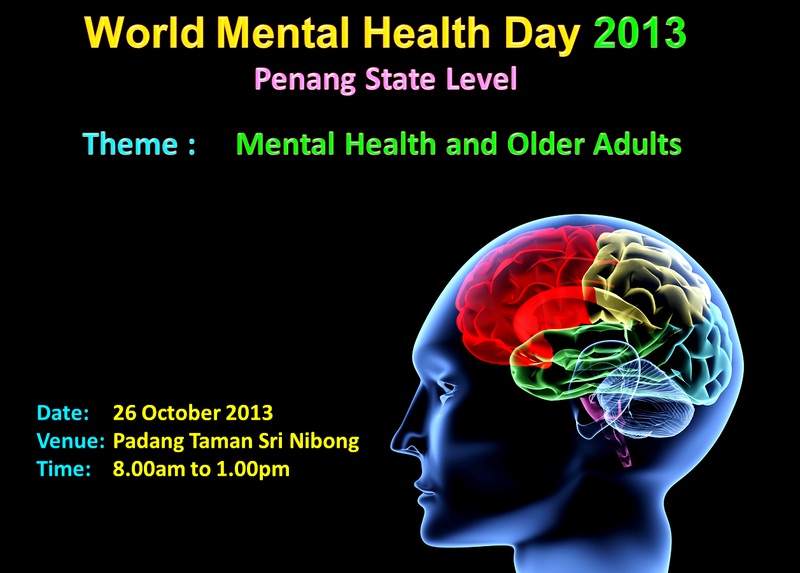 In conjunction with UN WHO World Mental Health Day 2013, the Department of Health organized the Penang State level World Mental Health Day 2013 at the Taman Sri Nibong field. 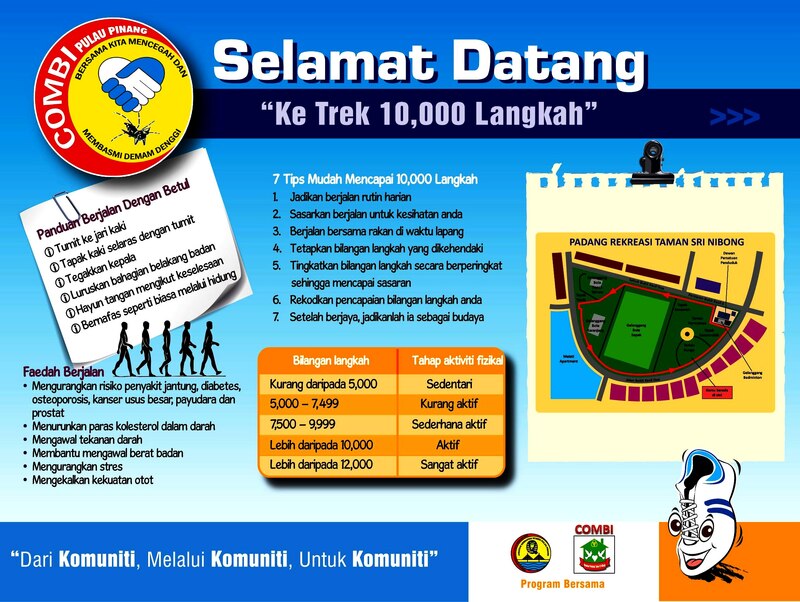 This whole event was funded by the Federal Ministry of Health. 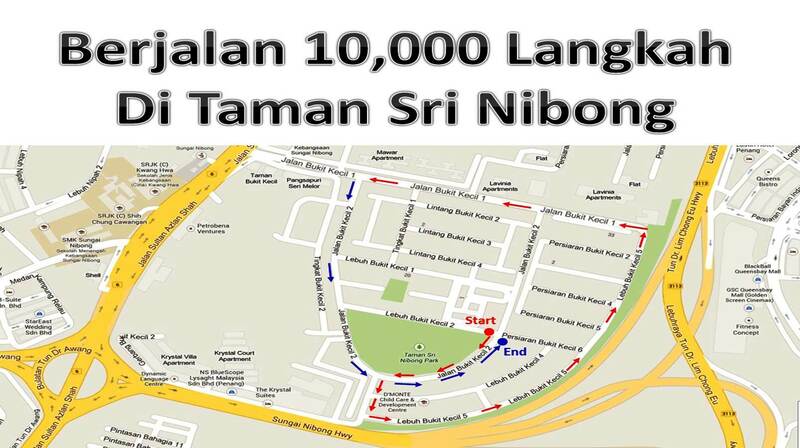 The COMBI team of Taman Sri Nibong Residents’ Association had been invited to jointly organize this event. “Mental Health and Older Adults“. 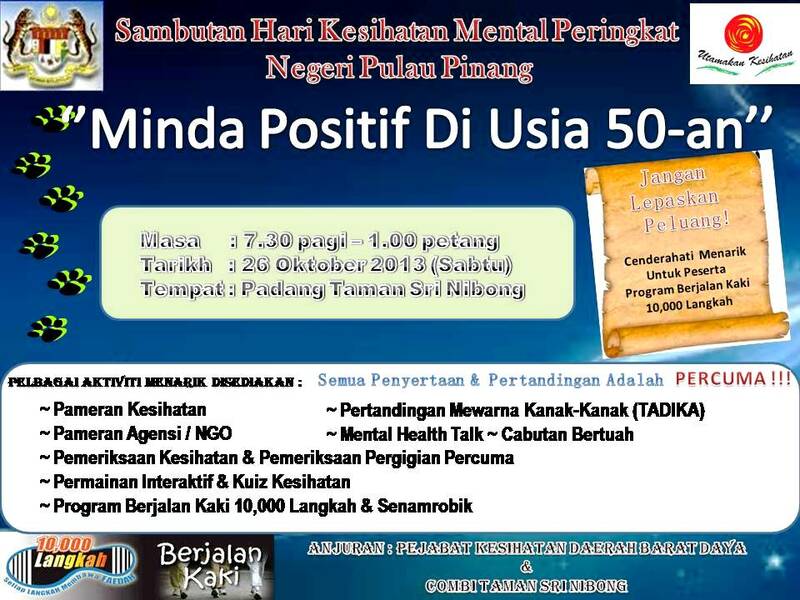 The proposed slogan for national level is “Positive Minds in their 50s“. 3. Exhibitions on Mental Health, Healthy lifestyle, Dengue, Organ Donations etc.